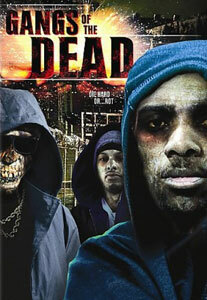 A group of homeless people are struck by a meteor and a short time later they rise up as zombies. Meanwhile a couple of rival gangs are engaged in a shady deal in a nearby warehouse and just as the cops move in to arrest them the homeless zombies turn up and begin to eat people. Cue a siege situation as the gangs and cops are forced to work together in order to try and survive the zombie onslaught. Being a fan of zombie movies I thought this sounded like it had potential but it turned out to be tedious garbage. The script is beyond bad, there are no sympathetic characters and the focus keeps moving so there's no obvious central character to root for. The cast was also shockingly awful, not an actor amongst them and lots of irritating performances, even the zombies were acting their parts poorly. The direction was lifeless and the best you can say is that they squeezed some impressive CG effects and gore sequences out of what I assume was a very small budget.